The silhouette of a lovers pair who looks at the night sky. A conceptual illustration of the silhouettes of people watching the cosmos. 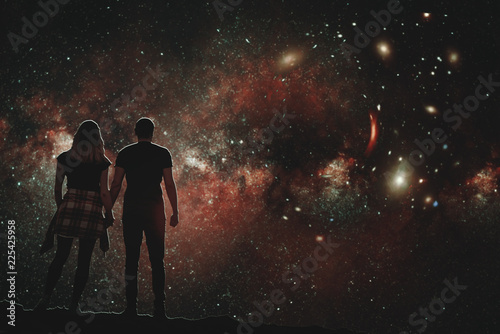 Boy and girl holding hands looking at the stars.